Of all the social media platforms out there, Instagram is probably the one producing the most trends. Instagram is a social network that always keeps you wondering what the next big thing will be about. This time around, it’s not so much about what’s new, but rather what’s hot right now. And if you have been reluctant to join in on the weirdest social media trends such as the finger selfie challenge or trying all things unicorn on camera, you’ll definitely want to be on board with this one. In case you haven’t already guessed what we’re talking about, it’s the Instagram Takeover! What Is an Instagram Takeover? An Instagram Takeover is when someone takes over your Instagram account temporarily in order to share their content with your audience. And although Instagram Takeovers have been around for a while now, different brands, individuals, and influencers are only just starting to realize the power of Instagram takeovers. Instagram Takeovers first appeared back in 2012, with brands allowing other users to post photos to their feeds for short periods of time. Today, with the rise of Instagram Stories and live video, takeovers evolved into a new and exciting format for engaging with your followers. Why Should You Host an Instagram Takeover? It means that for those 24 hours (or whatever amount of time you choose) someone else will do all of your Instagram work for you. Instagram is all about collaboration and networking. Hosting a takeover will help you get noticed on the network. It’s a good marketing move that will help you raise awareness of your brand, whether you’re a business or an individual. In other words, an Instagram Takeover can help you gain more followers on Instagram. Now, of course #1 isn’t entirely true. There’s a lot of work involved in hosting an effective Instagram Takeover. You have to do your research and make sure your followers are actually aware of what’s going to happen. And the ultimate decision of whether it’s worth the work is yours in the end. However, if you really want to get noticed on Instagram, this is a great way to collaborate with other users/influencers/brands to mutually promote your content and grow your following. Finally, if you’re not a professional photographer, it’s easy to run out of ideas for new Instagram posts. Bringing in someone else with new ideas might help you gain a fresh perspective and keep your followers excited. If done right, an Instagram takeover can revive your Instagram feed and boost your presence on the network. First things first. Think about what you’d like to accomplish by hosting an Instagram Takeover. Perhaps you’re doing it to raise brand awareness by growing your Instagram following and reach. Perhaps you want to engage with the wider Instagram community, or maybe you just want to promote a certain product or event. Don’t forget to measure certain metrics, like the number of followers, views, likes, comments, or mentions, before and after the takeover to see how successful it was and whether you reached any of your primary goals. Next you need to identify your guest—the person who’s going to be afforded temporary access to your Instagram account to post their content. Depending on your goals and objectives, you might want to consider choosing a certain type of guest. Aside from general community members, you can choose to invite an Instagram influencer, a colleague or employee, or maybe a customer (if you own a business account). Of course, you could just hand over all your passwords and your whole Instagram account to your guest and see what they do with it. However, it would be a much smarter move to focus on one type of Takeover. Place your guest in charge of Instagram Stories or your Instagram posts, or ask them to go live with your Instagram account. As we mentioned before, it’s always a good idea to give your followers a heads-up about an upcoming Instagram Takeover. There are a few ways you can do this, and it’s best to do all of the following. The easiest option is to announce the Takeover through an Instagram post some time in advance. You can also post a story about it a day before the Takeover starts. You can also use other social media channels, like Twitter or Facebook, to promote your upcoming Instagram Takeover. And of course, don’t forget to ask your guest to do the same to help you spread the word about the Takeover. Step 5: Full Takeover or Semi-Takeover? This final tip is arguably the most important one of all. If you’re still not comfortable lending your account details to another person, you can still do an Instagram Takeover. You can do a Full Takeover, when you give your guest full access to your Instagram, or a Semi-Takeover, when you ask your guest to send you the content and you post it on their behalf. The latter will require more effort on your part, but it’s a much safer option. Who Will You Invite to Your Instagram Takeover? 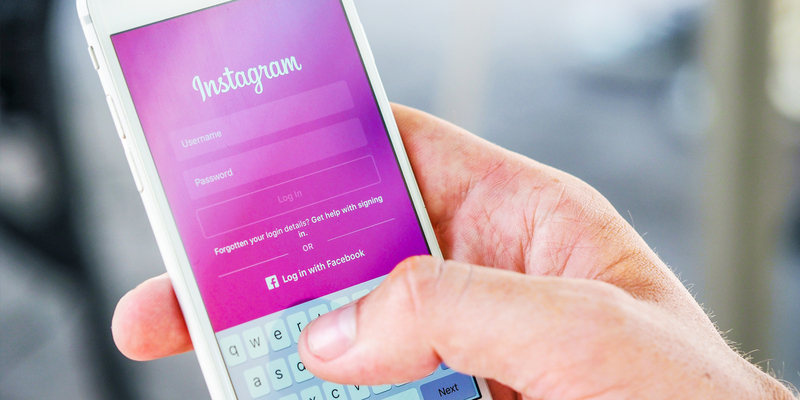 Even if you don’t get a ton of new followers, likes, and comments out of your Instagram Takeover, it’s still worth doing it for the potential exposure. Plus, it’s fun to try and do something new with your Instagram account every now and then. And who knows, maybe you’ll manage to land a big fish and persuade one of the biggest Instagram celebrities to do a Takeover for you.